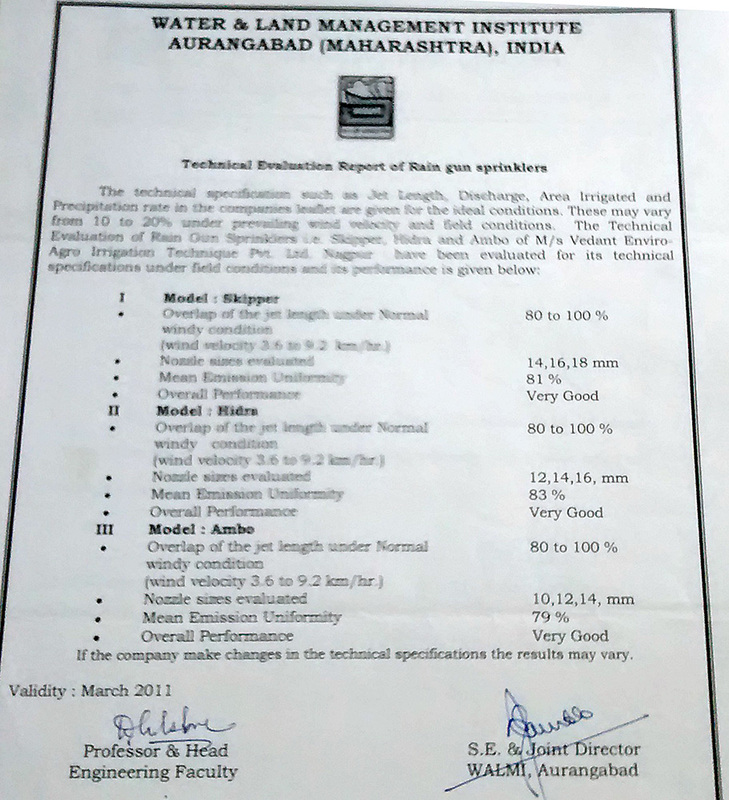 Vedant SIME Skipper Raingun (Turbine Drive) is the most popular Gear driven turbo model all over India, with a jet length from 25 to 40 m and discharge range from 160 to 600 LPM. 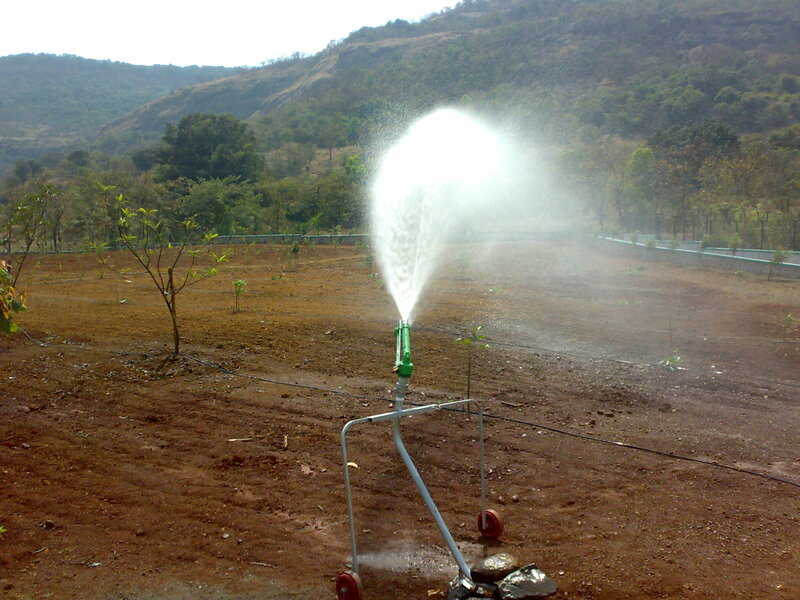 It is very effective for irrigation of sugarcane, delicate plants and seedlings, flowers, vegetables & all most all crops. 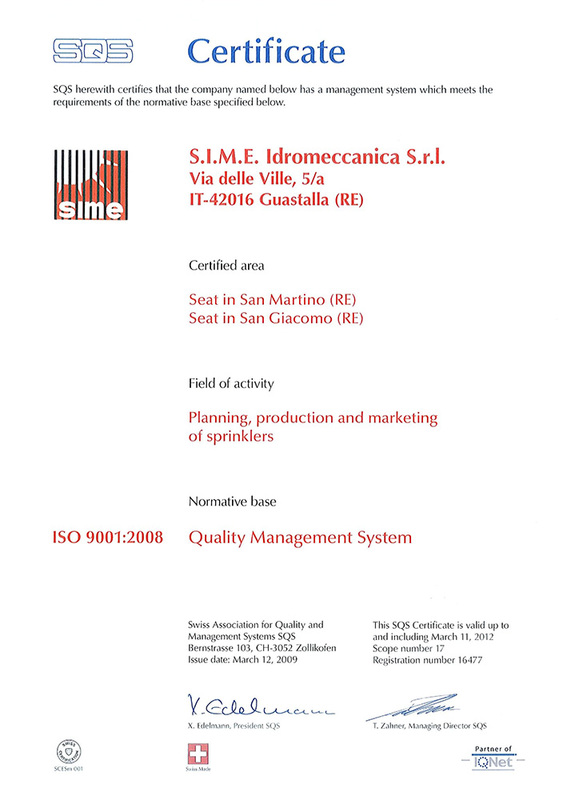 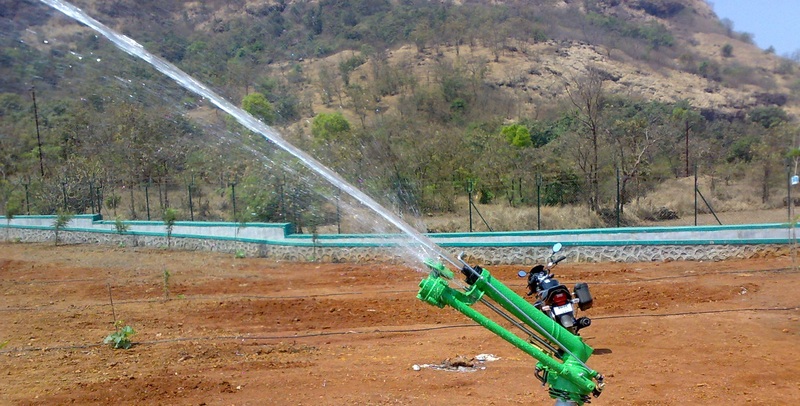 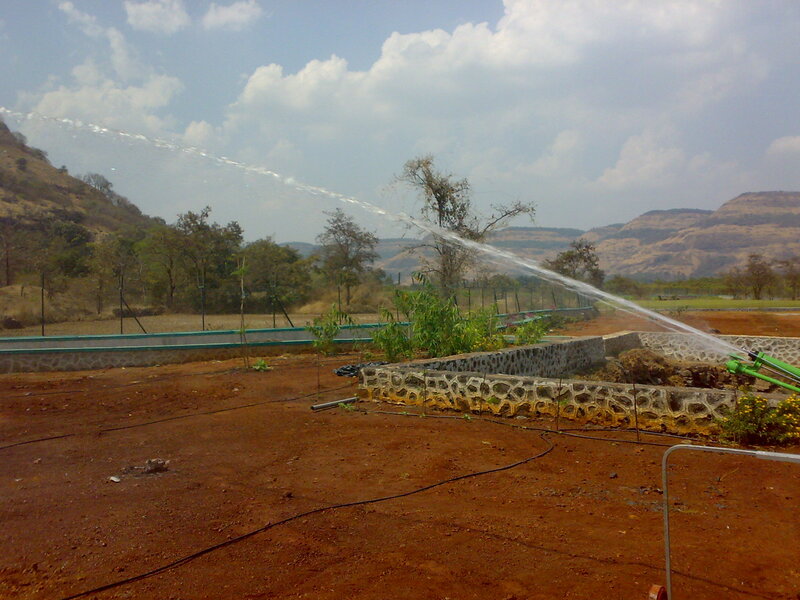 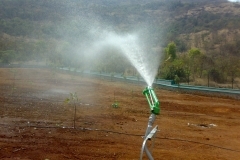 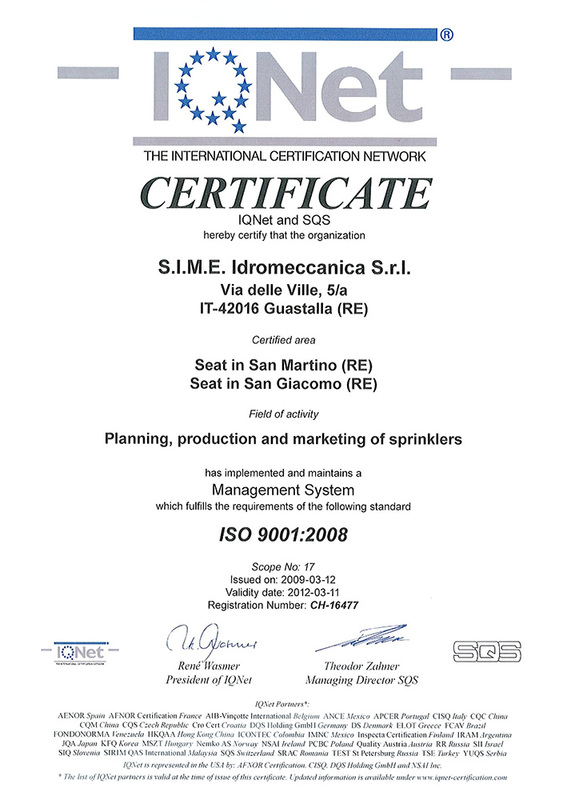 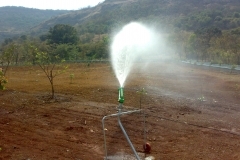 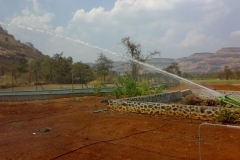 This is also the first choice for landscape and sports field irrigation because of its gentle Water Sprinkle. 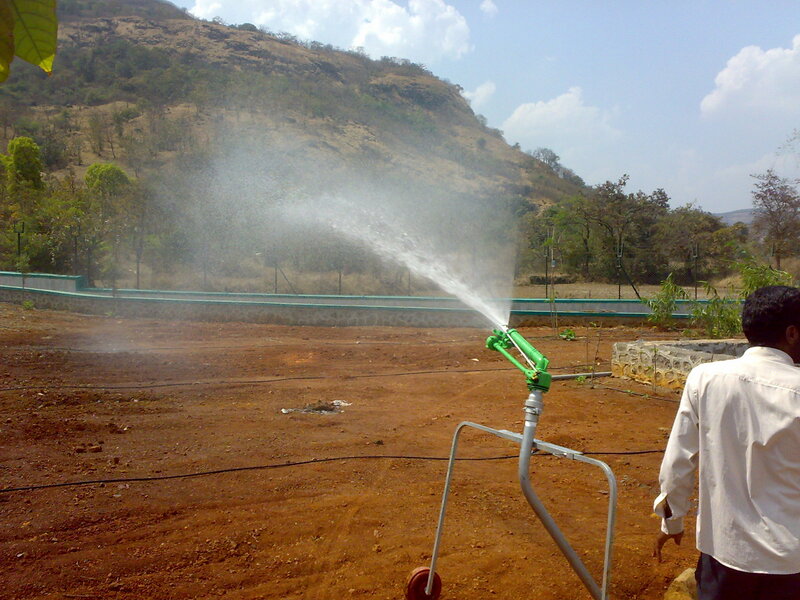 Because of its low maintenance, ability to spread moisture evenly it is the most cost effective solution for dust suppression and being used my many renowned companies across the world for this application. 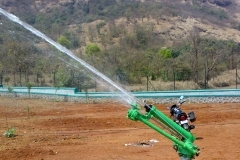 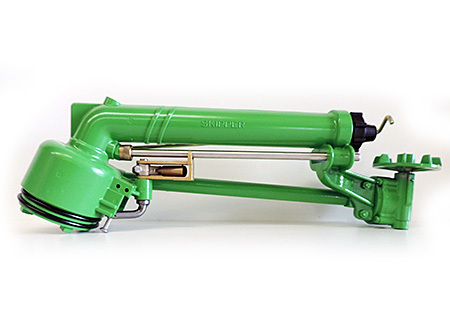 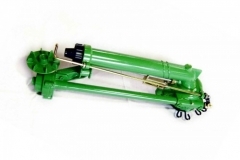 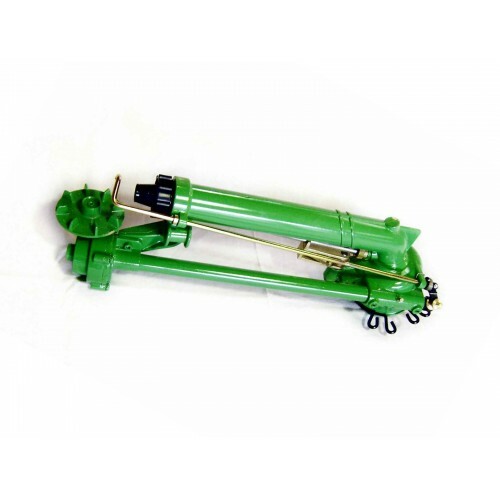 A high head pump set in the range of 5 to 12.5 HP is suitable, and two guns can be used simultaneously, at higher HP range, to cover large area. 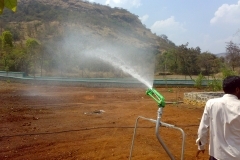 It can also be operated by Tractor driven high head pump. 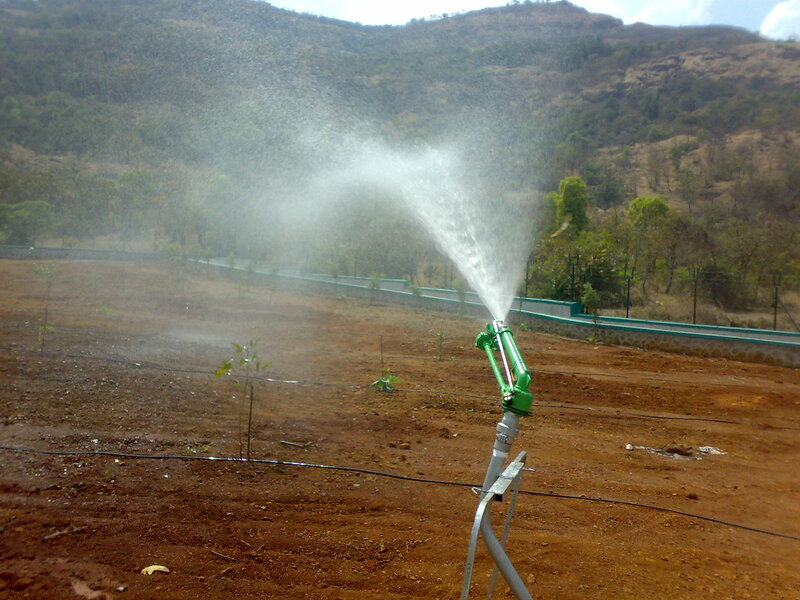 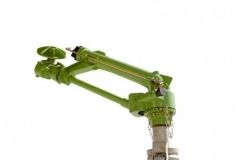 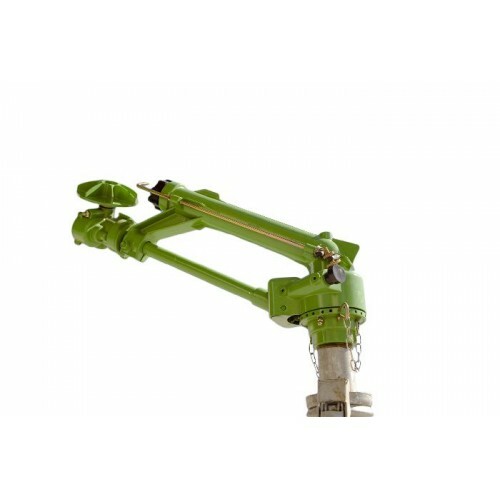 It requires around 3 kg/cm2 (30 m head) inlet water pressure with 250 LPM discharge. 75mm HDPE quick coupling HDPE sprinkler pipes can be used.